A search was on Thursday for a 33-year-old man wanted in connection with the killings of a woman and her teenage daughter found dead in a Monrovia apartment. 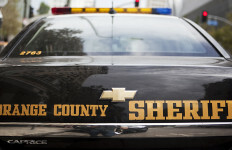 The victims, 41-year-old Cecilia Meza and 17-year-old Kelsey Meza, were found dead about 1:30 p.m. in the 800 block of West Colorado Boulevard, according to the Los Angeles County Sheriff’s Department. The wanted man has been identified as Nimrod Perez Guerrero, 33, who investigators said had an on-again, off-again relationship with the woman. Guerrero, who is Hispanic, 5 feet 8 inches tall and weighs 200 pounds with brown hair and brown eyes, should be considered armed and dangerous. He was possibly driving a gray 2014 Toyota Rav4 with California license plate 7FPB132, according to the sheriff’s department. Investigators have not said how the victims died. They were found after someone asked police to conduct a welfare check, according to the sheriff’s department. 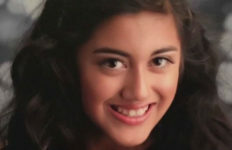 The welfare check was sought after the girl failed to show up at Monrovia High School for several days, KCAL9 reported. The school is across the street from the apartment where the bodies were found. Monrovia Unified School District Superintendent Kathy Thorossian issued a statement saying that the school community was mourning the deaths. “There is no question that a tragedy of this nature affects our entire community. It is difficult to process the death of anyone, much less someone so young and so promising,” Thorossian said. The district had grief counselors available on campus to support students and staff. According to KCAL9, the man being sought had an on-again, off-again relationship with the woman. Anyone with information about the killings or the whereabouts of Guerrero was asked to call sheriff’s Homicide Bureau Detectives Eddie Aguirre or Tony Guillen at (323) 890-5500.